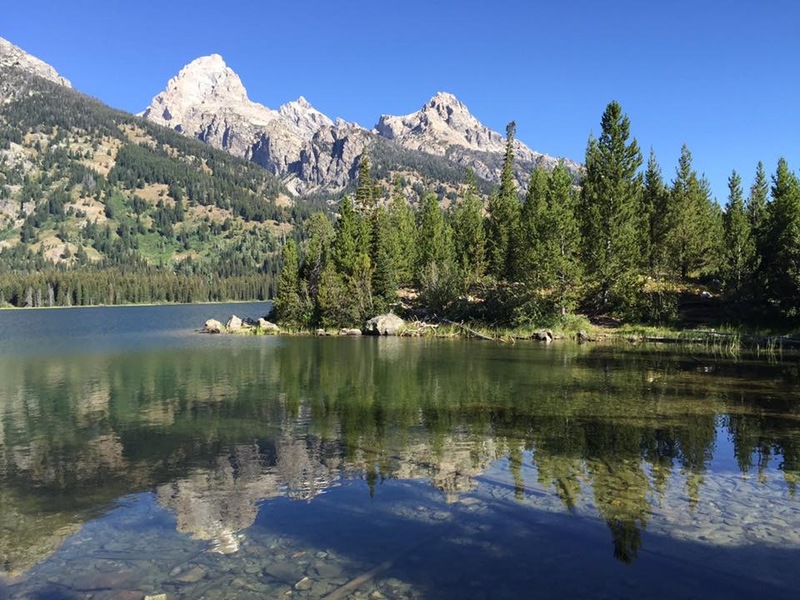 I know, I know, it’s been awhile since I have posted a blog update! 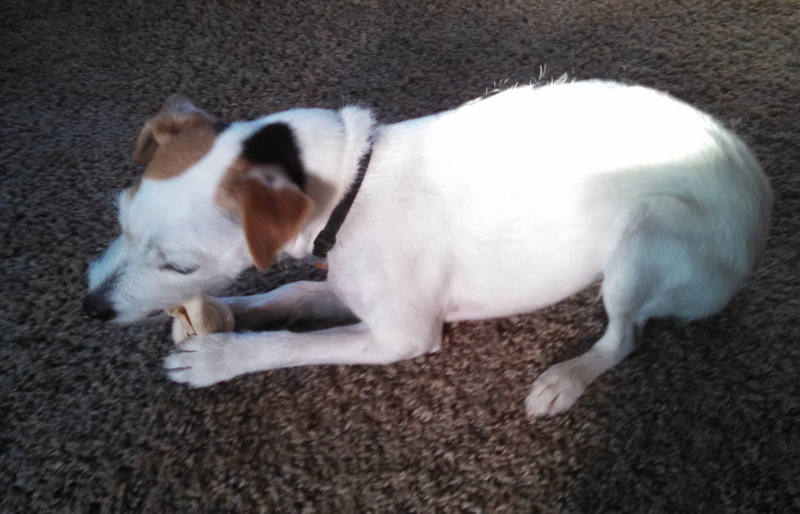 For those new to the blog, it’s me, Makena, the blog writing Jack Russell Terrier! 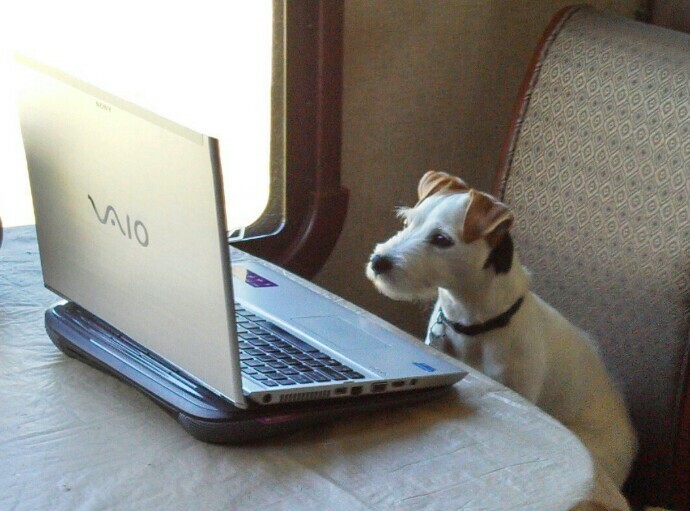 Occasionally, I like to post an update to keep everyone updated on life in an RV, from the dogs point of view. Once again I find myself back in Kentucky, with the promise that we will be able to go somewhere warm again for the winter. I had a great time back in Wisconsin at Camp Meyer, visiting with everyone. I did get to spend a few days up at my grandparents, where I was able to convince them I needed to play outdoors with my football at least 10 times a day!! Even if you are just a dog, grandparents are still the easiest to swindle! My parents did find someone to let me out on the days they are working at Amazon, so I don’t have to cross my paws for over 10 hours. That keeps me relaxed, so I can find time to work on the bone that I received from Margaret, my parents co-worker at Crazy Horse. It’s delicious! Thanks again Margaret! I think my parents must feel guilty for leaving me alone all day, because I did get a new toy, which I promptly destroyed! 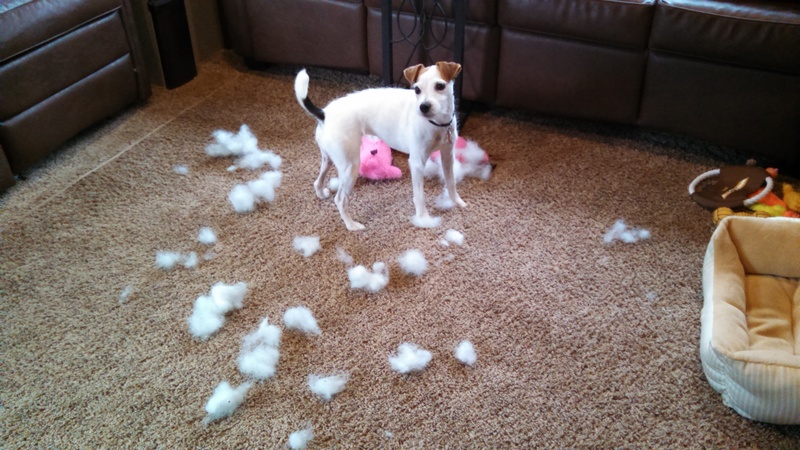 Toys with squeakers don’t stand a chance with me! 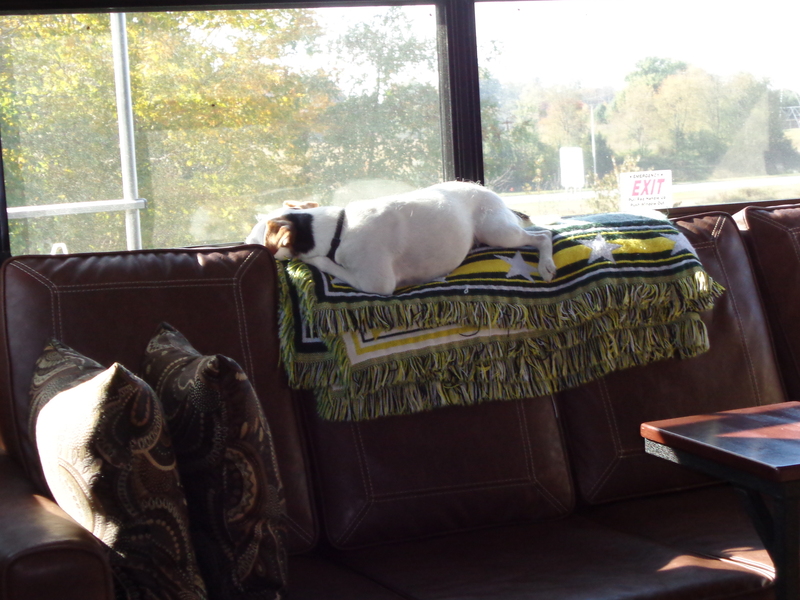 All that work makes me sleepy, and when the sun shines in, what better place to take a nap than the couch? Yes, I have a good life! 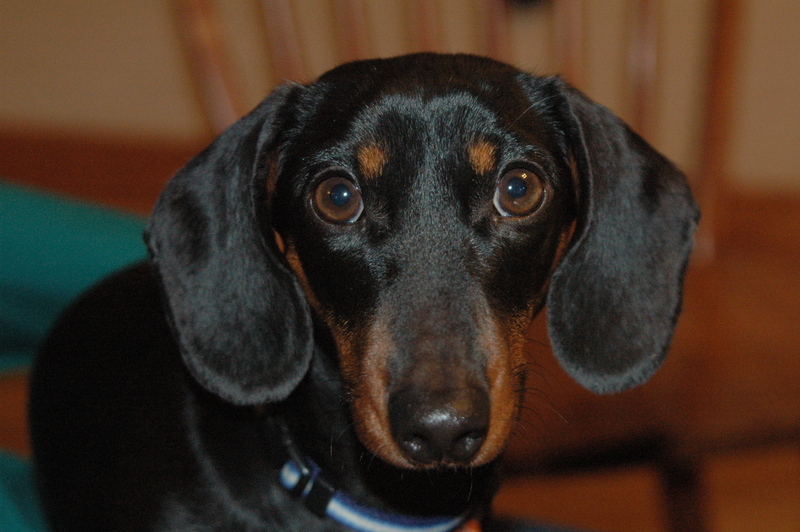 On a sad note, my cousin Gus passed away after a brief illness. I will miss him, as he was pretty nice to me. I know he is in a better place. Rest in peace, Gus. My other cousin, Reagan, was out bird hunting, and decided to go after a porcupine. 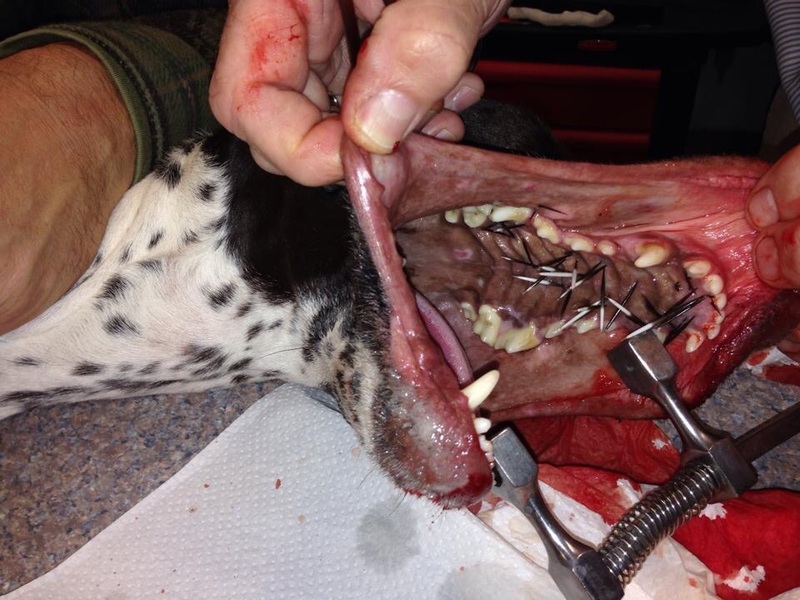 Her mouth is full of quills…..ouch!! I can feel your pain. 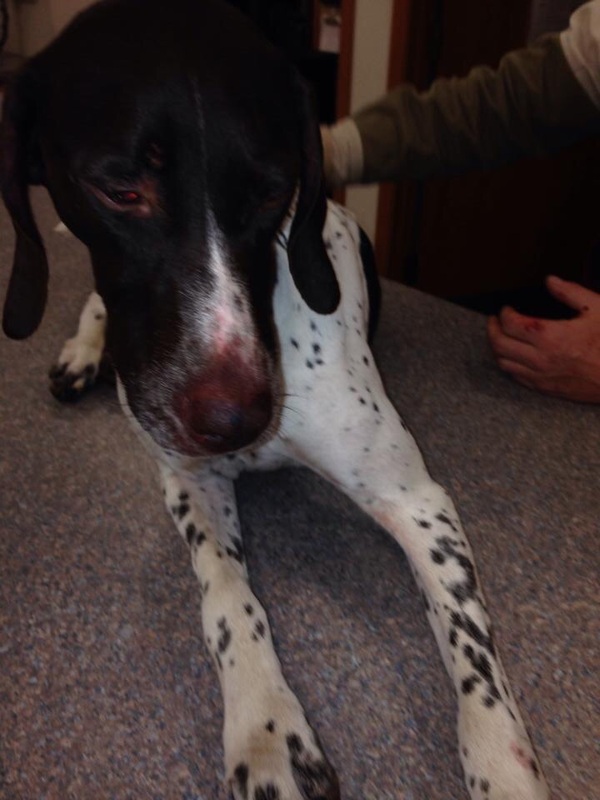 Note to self – stay away from porcupines! The vet gave her some good drugs, which caused her to be a bit sleepy. She is doing better now. I’m happy that my parents are not so busy touring on their days off, like they did this summer, as it allows for more snuggle time. There is a nice open field behind our 5th wheel that I am occasionally allowed off-leash to play some football. However I am really looking forward to when we hitch up and go south for the winter. Hopefully they will find me some nice parks to play in, as I’m getting a bit restless here with my parents working all those hours. Take care for now everyone! Make sure to give your pets hugs everyday, and enjoy the time you have with them!